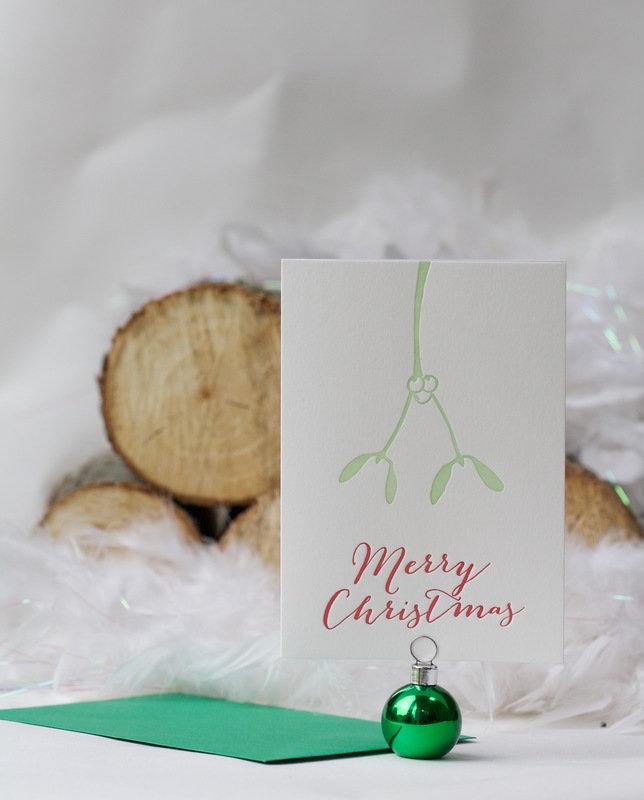 There is something about receiving a Christmas card through the post, and for those relatives and friends who you don’t really see over the Christmas period (and you can’t send presents to everyone either!) 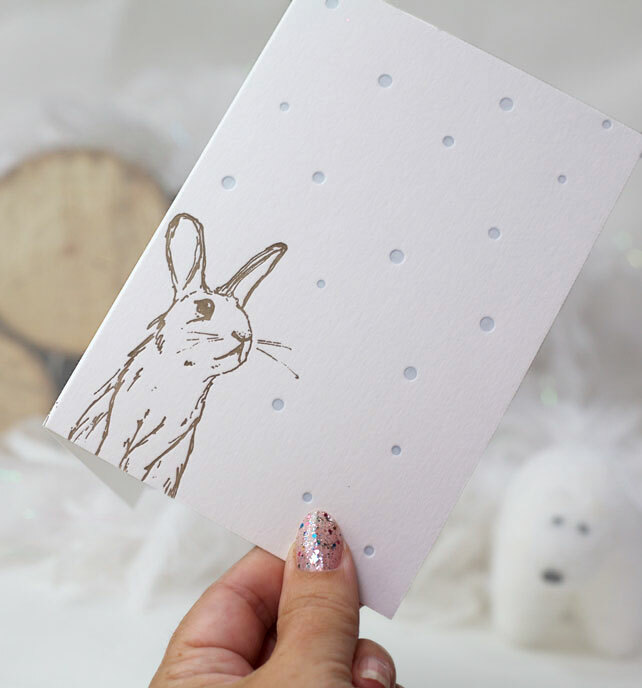 you want to send a card that stands out. 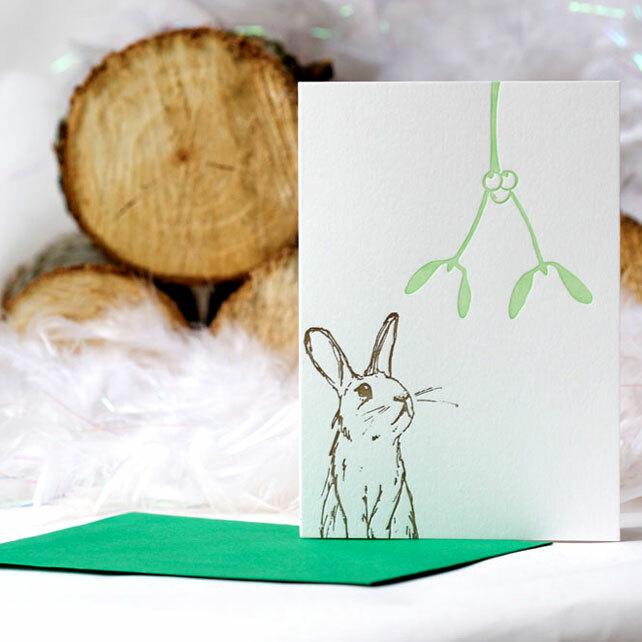 Letterpress cards have a luxurious quality and tactile feel that have a charm all of their own. 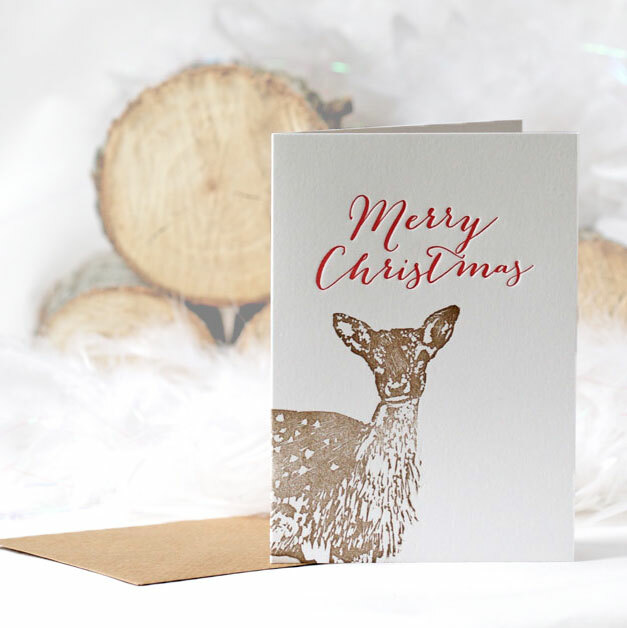 The Ellie Press Christmas Card collection is now available on folksy. And if you’re having trouble choosing which one to buy…we can send you one of each (which is a cheaper way to purchase them to!). If you are after larger quantities (25 or more) then you can also get further discounts, simply contact us for a quote. And don’t forget to send them before Saturday the 19th December for them to arrive in time (UK only). For deliveries further afield, check with your post office before sending. 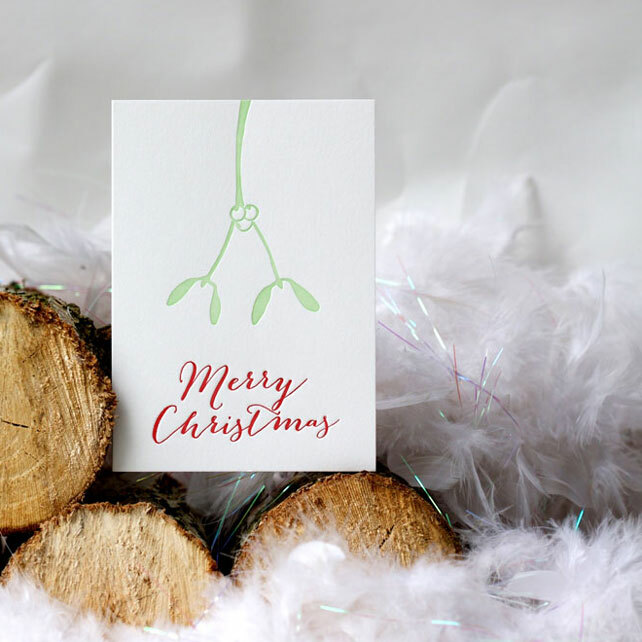 Ellie Press has launched 3 different Gift Tag designs this year to make your Christmas gifts look super exciting. Your recipients will be clapping their hands in anticipation to rip that parcel apart…. 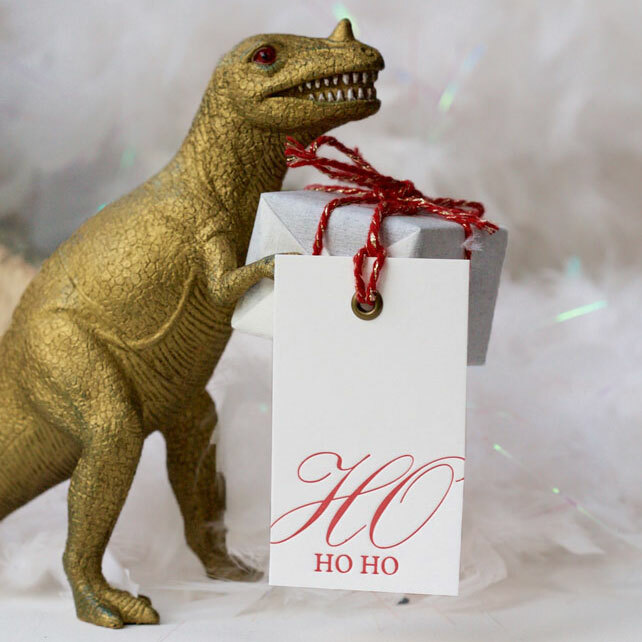 Place little gifts into the arms of a toy dinosaur to create lots of fun when the kids wake up on Christmas morning! This dinosaur was spray painted gold, using a watercolour masking fluid to keep his teeth and eyes nice and clear. Or just keep it simple with a beautiful letterpress calligraphy style font. 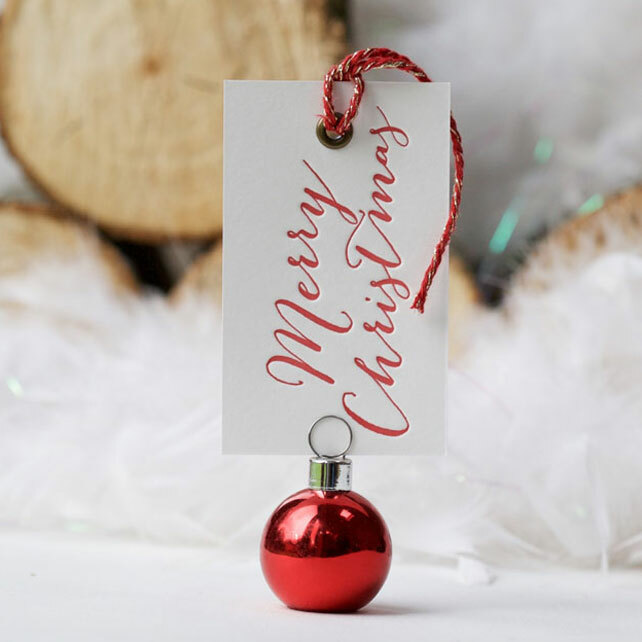 You could use this tied around a bottle of wine or on any of those ‘can’t be bothered to wrap’ items … these also make lovely additions to the your Christmas table decor tucked into a napkin. 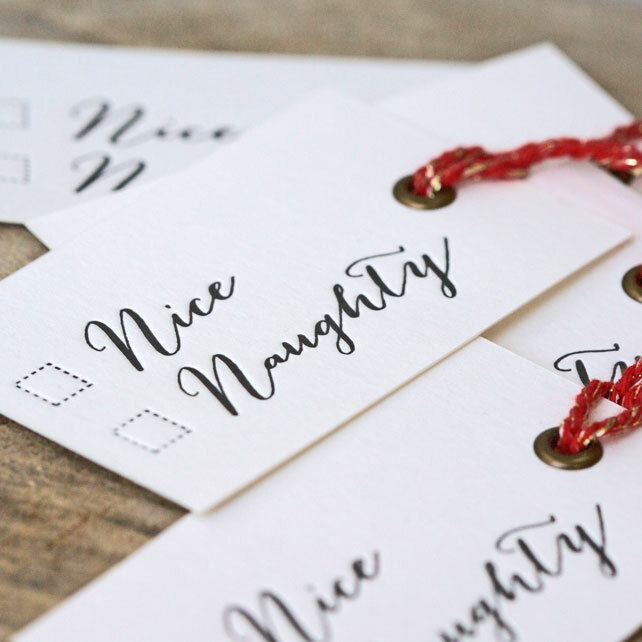 These tags make any gift look super luxurious and exciting. Combine with simple brown kraft wrapping paper or why not wrap your Christmas gifts in a piece of fabric to be super eco and different!